Some of the most commonly used Arabic names have the most beautiful, poetic meaning behind them. It is so easy for one to forget that the names we hear so frequently, like Tariq, Deena, or Khalid are not as boring as they seem. Have a look at these Arabic names and realize that each one has a specific meaning. Strangely enough, there are people out there whose names do suit their character perfectly. 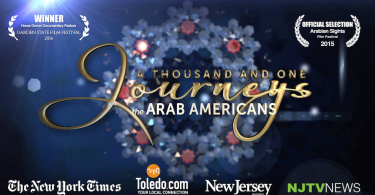 Tariq: The literal meaning of this name is “one who knocks at the door” and often refers to travelers. 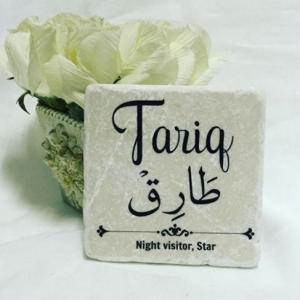 Tariq is also a Surah in the Quran, meaning “right corner,” the star watching over the world. Nadim: The name is a derivative of the word ‘nadam’ which means regret. Got any friends named Nadim? You’ll probably find he is one of those whose friendship comes with a price, and you often regret having spent time with him. Leena: Leena is a beautiful name which means ‘tenderness’ in Arabic, and in Chinese, ‘Li Na’ means pretty or elegant. 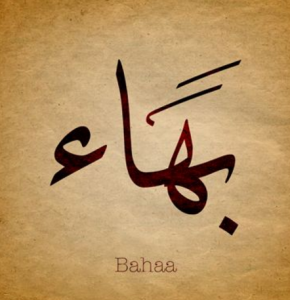 Bahaa: Bahaa is translated into Arabic meaning ‘brilliance.’ Guys with this name may seem to be a bit full of themselves. Reem: Reem is a synonym for ‘gazelle’ and symbolizes elegance, grace, and purity. Khalid: Khalid means ‘immortal’ or ‘eternal’ and is derived from Al-Kholood. Rania: In Arabic, Rani is the feminine form of the word ‘rani’ which means ‘listener.’ In Hindu, it means queen. Could Queen Rania’s parents have known this when they named her? It’s quite possible. Fadi: The Arabic meaning of Fadi is ‘saves’ or redeemer.’ It is an Arabic name for Jesus. Osama: Osama means ‘lion,’ or ‘one who has the desire to lead others.’ It also refers to a person who wishes for power and wealth. Buthaina: Buthaina is a real beauty. The name means the ‘beautiful, delicate one.’ It refers to women with soft skin and petite features. Noha: This name symbolizes three things: intelligence, reason, and intellect.